But then he got to thinking about this a bit more. He realized there are several places in the Bible where God’s people don’t tell the truth, but even so, they aren’t criticized or punished. In fact, their actions sometimes seem to advance God’s purposes. My friend thought of Rahab, for example, who lied about the spies to the men sent by the king of Jericho. She said they’d already left her house, when really she had hidden them on the roof. This saved their lives so they could report back to Joshua and he could plan the conquest of Canaan. 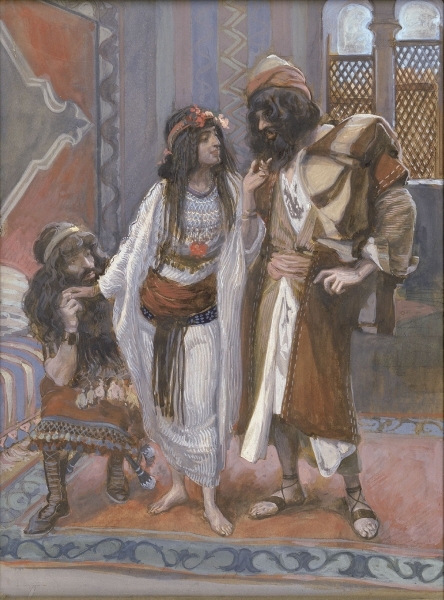 Rahab is actually celebrated in the book of Hebrews as a hero of the faith because she sheltered the spies—but this involved not telling the truth. So the issue really was more complicated than the “verse” that first occurred to my friend suggested. But he was well on his way to “understanding the books of the Bible,” because he was reflecting on important questions in light of the whole message of the Bible as told in its individual books and stories, not relying on simple answers based on proof texts. But what about Rahab? What’s going on in cases like hers? As we talked over her story, we recognized that lying is one thing—not telling the truth in order to cover up wrongdoing or to get an unfair advantage over another person. Deception is quite another thing—using misinformation to protect people from violence and oppression in a situation where you don’t have the power to help them in any other way. Unfortunately in the Bible we sometimes see even God’s people lying, and destructive consequences result. But we also see God’s people using the tool of deception or misinformation to further God’s purposes when powerful oppressors would otherwise thwart these purposes. Is this sometimes the right thing to do? When there is a great power differential in favor of the oppressors, and God doesn’t step in miraculously to overcome that differential (as happens in other places in the Bible), is deception an acceptable tool for us to use? I’ll explore that question further in my next post. Previous Previous post: How could Abram go to a place called Dan when the person it was named after hadn’t been born yet?